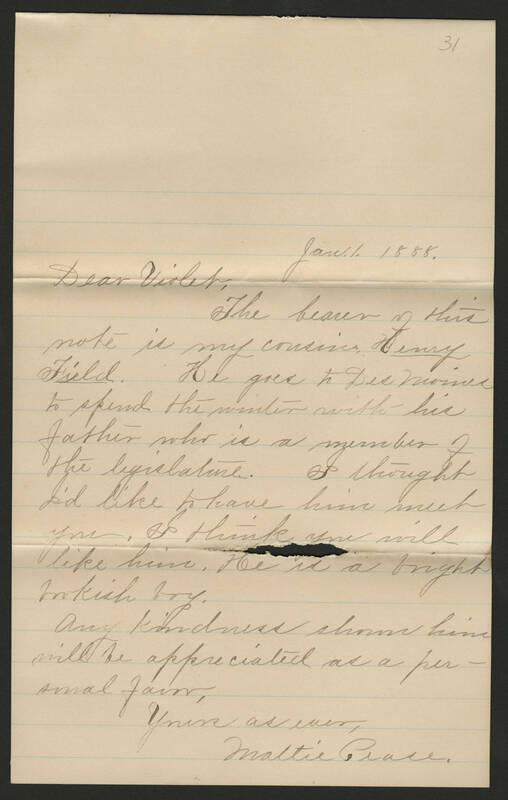 Jan 1 1888 Dear Violet, The bearer of this note is my cousin, Henry Field. He goes to Des Moines to spend the winter with his father who is a member of the legislature. I thought I'd like to have him meet you. I think you will like him. He is a bright bookish boy. Any kindness shown him will be appreciated as a personal favor. Yours as ever, Mattie Pease.